Once you arrive in Saudi Arabia on work visa or employment visa, Your residence permit count down will start as your work visa has only 90 days validity. - Before your visa validity expire, It is your employer responsibility to get residence permit (Iqama or Muqeem Card) for you. - It is right of every employee to get Iqama or Muqeem (residence permit) from your sponsor before your work visa validity expire. - There will be a penalty for your Sponsor (Employer), If he did not issue your Muqeem Card (Iqama) within 90 days of your arrival. Also read this article "Sponsorship Transfer without Kafeel Approval". 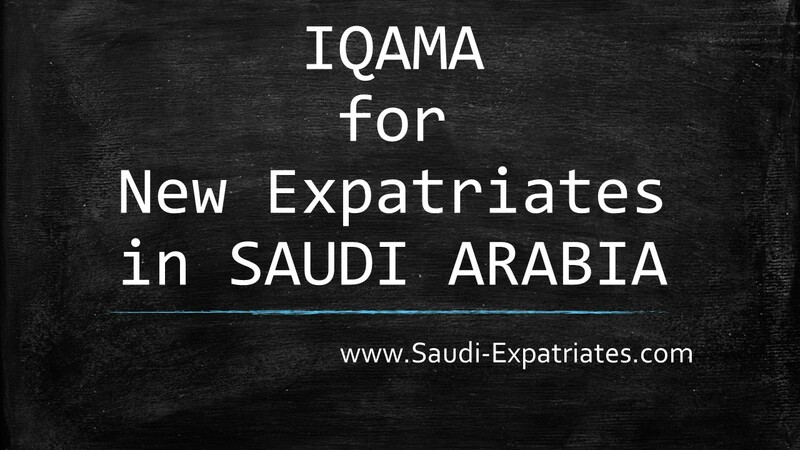 - If you came on Azad visa (Free visa) you have to pay for Iqama as per your deal with him. 1. Your Employer will ask you to go for medical test in the specific approved medical center by giving you a passport copy. 2. Once you finished medical test, Your report will be handle to you within two days. Your medical report will be sent directly to Ministry Of Interior (MOI). 3. After that Your HR people will ask you for two photographs and your Passport. 4. Register yourself in Saudi Council of Engineering if you have engineer visa. If you have medical profession visa you should register in Saudi Medical Council. Generally your Employer will take care of these all things, If you are on work visa. If you are on Free visa ( Azad visa ) your kafeel will charge you for this process. - Residence permit (Iqama) Form and company related documents. - If your company has lessthan 50% of Saudi's there will be a fee of SR 2400 for labor office. If you are on Azad visa your kafeel will ask you to pay. Once you receive your Muqeem Card (Iqama) check your name matches with your passport name and also name is same in Arabic as well as english. Unless you need to follow this article "Correct Your Name in Muqeem Card". I am the new expat in Saudi and i came here on 09.12.2015. I believe my Iqama processing undergone by the employer. But i am not sure where i have to check whether the iqama number issued for me.